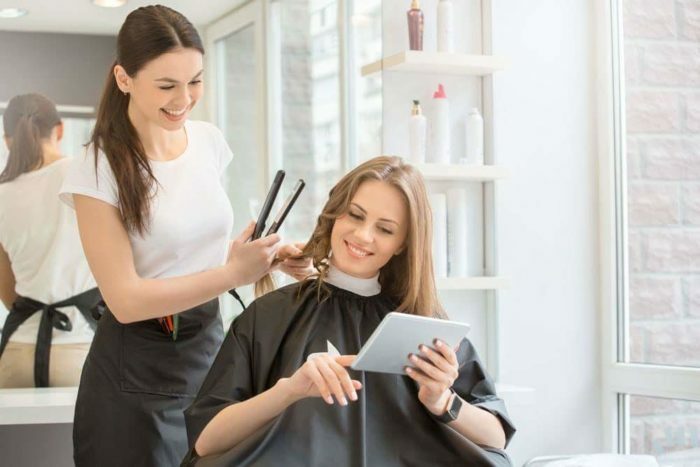 Located in Upwey, in the outer Eastern Suburbs of Melbourne, MAK Hair provide the ultimate hairdressing salon, offering a wide range of hair services. We pride ourselves in our technical skills and genuine expertise in our industry, always keeping our training up to date to suit the latest trends and fashions. We aim to provide the best luxury services with the highest quality products on the market. Our boutique hairdressing salon in the beautiful Mt. Dandenong Ranges of Melbourne sets a warm cosy atmosphere to ensure you enjoy a relaxing experience while visiting the salon. All our staff attend regular ongoing training, to discover the latest trends and techniques in all aspects of the hairdressing industry. At MAK Hair, we value our clients. It is our priority to give you the best quality service, haircare and advice using our carefully selected range of the highest quality hair products on the market. We take pride in our work and believe we are a dynamic team of highly skilled hairdressing professionals who work together to achieve great results for all our beautiful clients. At MAK, we aim to exceed your expectations. We are always searching for new inspiration, to continue to evolve our techniques and skills. Open Tuesday – Saturday, with after hours appointments available Wednesdays & Thursdays. We stock the highest quality home hair care products on the market. All hairdressing products used in our salon are free of all Parabens, Sulfates and any other nasty chemicals. Our products are Certified Organic, Vegan, animal cruelty free, environmentally friendly, and Australian owned. Have you booked for our Soft Upstyling Session this Thursday night?